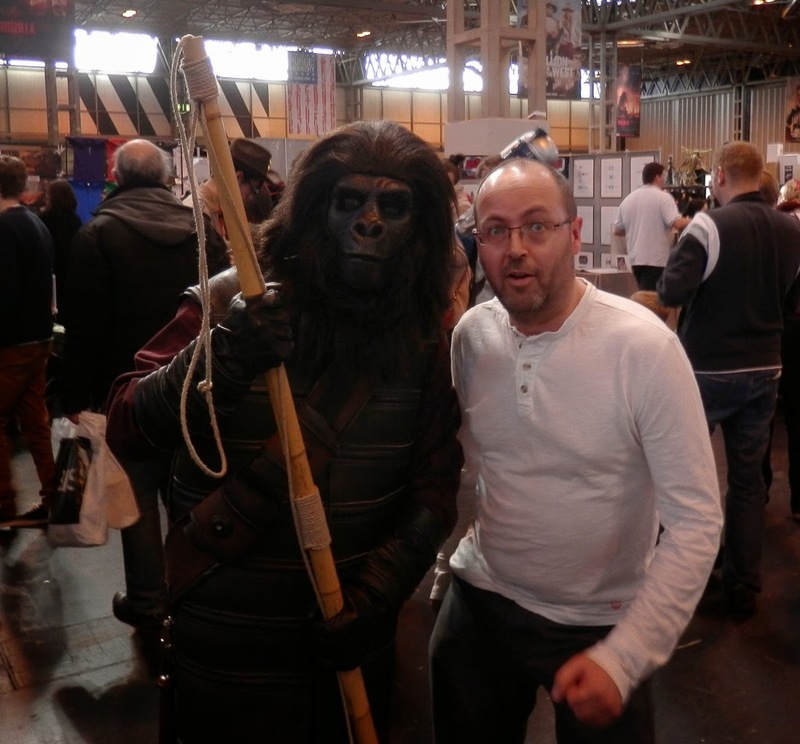 Moments of Adventure: MCM Moments in Birmingham! 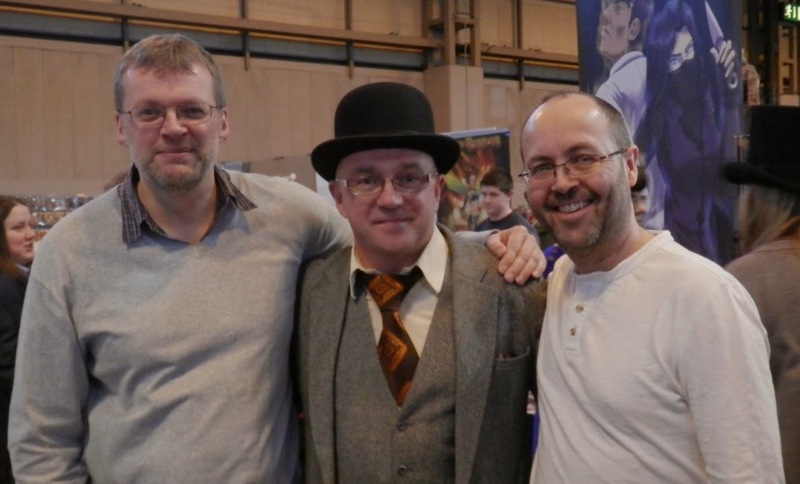 Ah, been a really hectic week or so since Accent UK's appearance at the Birmingham NEC's MCM & Memorabilia show so here's my review of the show. From a purely comic sales perspective the show was a little disappointing. 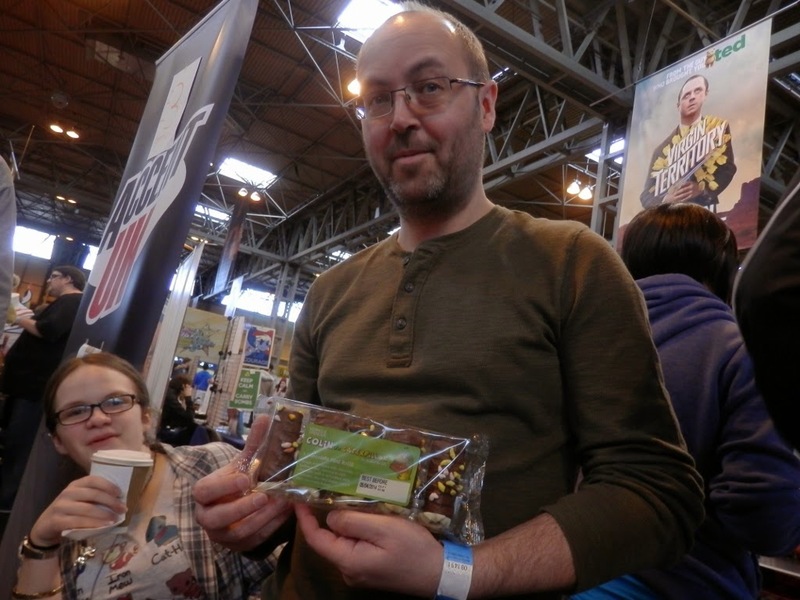 After last year's MCM madness in Glasgow and Manchester we had high expectations, but in the end only sold about 1/2 as many books as at those one day shows, so with Birmingham being a full weekend, it was disappointing. I enlist some help to snare a few comic customers! Chatting to folk it was hard to pinpoint reasons why, the attendance itself seemed busy enough and comparable with Glasgow and Manchester but the comic village didn't seem to get the same footfall that those shows had. 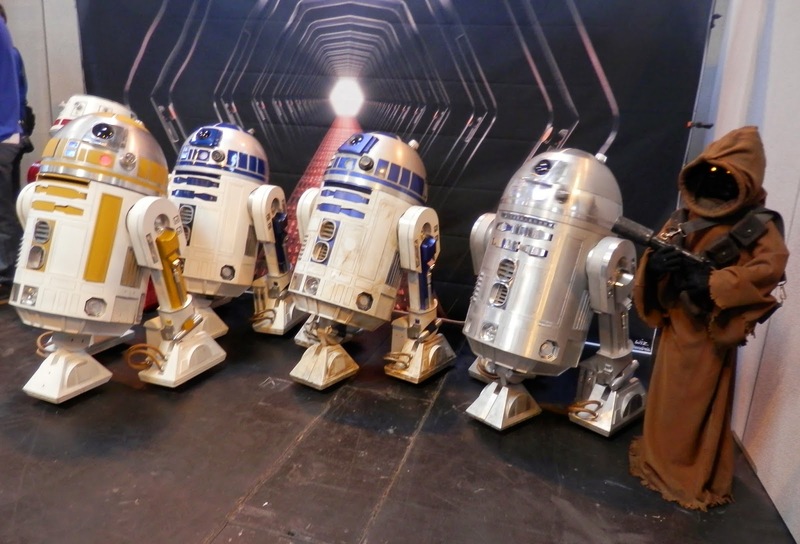 It reminded us of the early MCM London shows we tried when the thousands of teenage cosplayers didn't seem too interested in the comics side of things - something I understand that London has 'grown' out of as its attendance has since soared and comic village regulars enjoy brisk trade, (something we will test for ourselves when we return to London in May!). 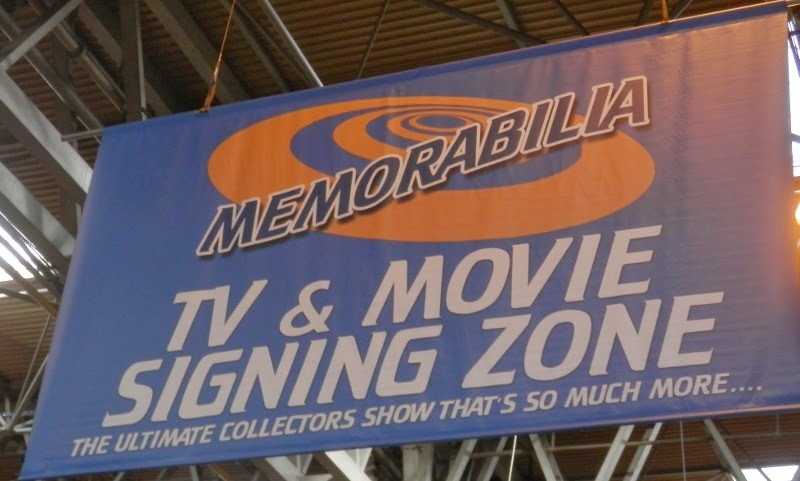 I understand that this Birmingham show is a different beast to others in the MCM stable in that it has Incorporated the long established Memorabilia shows which ran for many years. There was evidence of this both in the media star signings and the dealer hall with various toy, book, magazine and vinyl record dealers amongst the regular MCM roster of manga, prints, t-shirts, accessory stalls etc. I think Dave and I rather enjoyed this eclectic mix of dealers with some unusual finds amongst the many stalls - old Lion annuals for Dave and a couple of Zulu movie lobby cards for me! 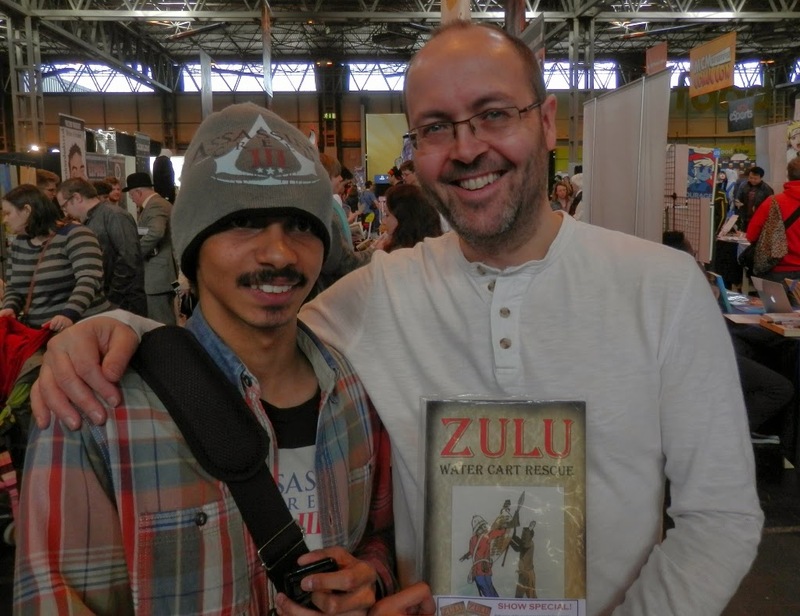 Alexander and me - despite a slow day, Zulu sold first & sold out! It may be though that the comic village hasn't yet matured in its own identity within this varied show and struggled to make itself heard. There were some 'hotspots' though with a couple of comic exhibitors doing well but for the majority it was pretty modest stuff. Dave, Stu and Col share the love! As always though it was still a very enjoyable time catching up with old and new friends including Steve Tanner of Time Bomb comics, Paul Birch of the Birmingham Mail's Speech Balloons column, Lou aka Naniiebim, Rudra and Lyndon White, (whose promising Cosmic Fish comic is imminent! 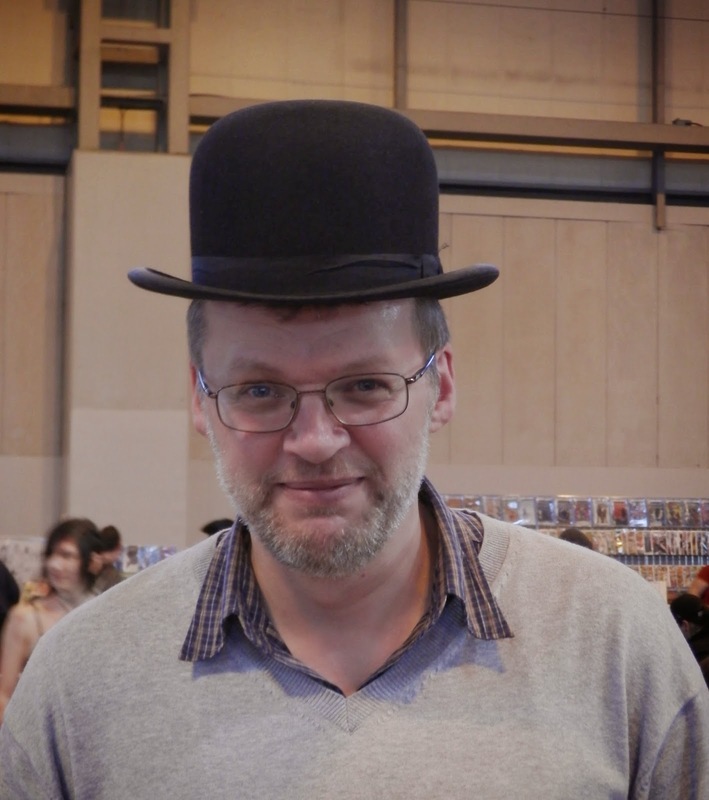 ), Jeremy of the popular Zombie Bear Comics and of course the irrepressible force that is Stuart Gould of UK Comics Creative. Here's me & Jemma about to bust open the 'Colin the Caterpillar' birthday cakes Karen had bought! Dave struggling to contain his ideas hat !